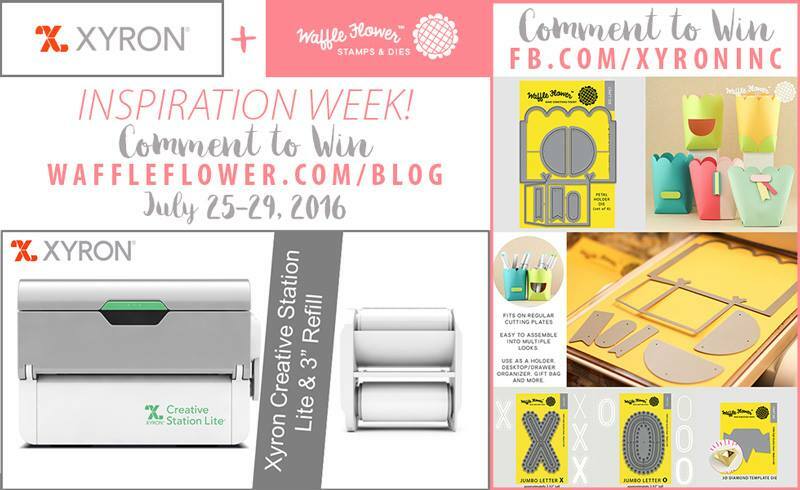 Xyron + Waffle Flower Blog Hop!! 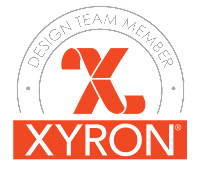 We are continuing the week with amazing projects from both the Xyron and Waffle Flower Design Teams! Both companies will be giving away FABULOUS PRIZES!! To enter the Xyron Giveaway all you have to do is head on over to the Xyron Facebook Page and "Like" and "comment" on any/ all of the Waffle Flower project posts. 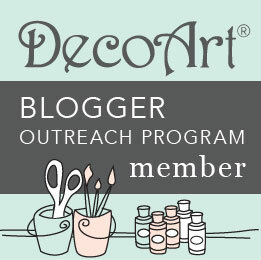 And, Don't forget to head on over to Waffle Flower Blog to see even more awesome project from the Waffle Flower Team. **Disclaimer: This giveaway is in no way sponsored, associated or indorsed by Facebook or it's subsidiaries. For my blog hop project I made wall decor for a really good friend of mine. She and her family have shown what true friendship really means. They have been there for me through storms (literally and metaphorically). This pass June has been one of trials and tribulations. My town was hit with flash floods and tornadoes, one which ripped through my backyard. My friend, Christina Rust, and her husband (James) came over on two separate occasions to help us clear a tree that was knocked down from the storm, it laid across our yard but was still attached to the trunk. James, with chainsaws in hand, removed that and other surrounding trees. Then the following weekend they hauled off all the debris. Shortly after that storm, I received shocking news that my baby brother had suffered from a massive heart attack which ultimately took his life. And there was Christina. She gave me a sympathetic ear, a shoulder to cry on, and endless hugs and reassurance that it was going to be ok. Her husband took care of the main food being served and their whole family manned the kitchen during my brother's funeral. They have done so much for me and my family and I am eternally grateful! So, out of appreciation, I made her this shadowbox wall art for her home. I know this in no way will show her how much I truly appreciate her but I thought it was a great start. I knew I loved the quote and I felt it really encompassed our friendship. And the perfect companion to this quote and what really made this framed piece pop was this 3D Diamond Template Die from Waffle Flower. 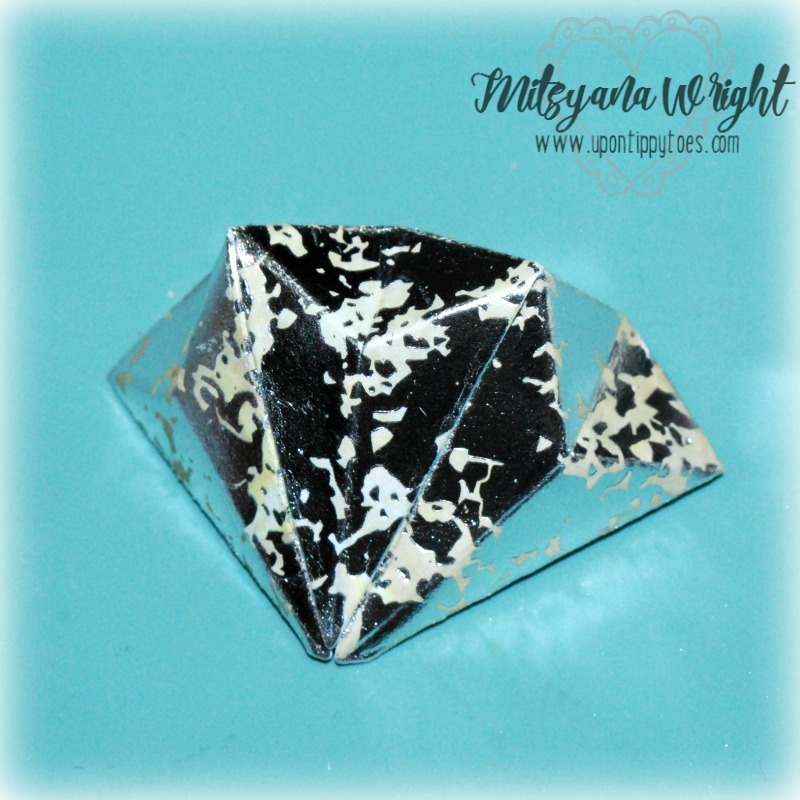 I love the way that this die emphasizes the diamonds. To make the diamonds, Waffle Flower suggests using a cardstock with a weight of 65 lbs or less for easier folding, but I used this paper that looked like mercury glass and has a weight closer to 110 lbs... this is on the really thick side. 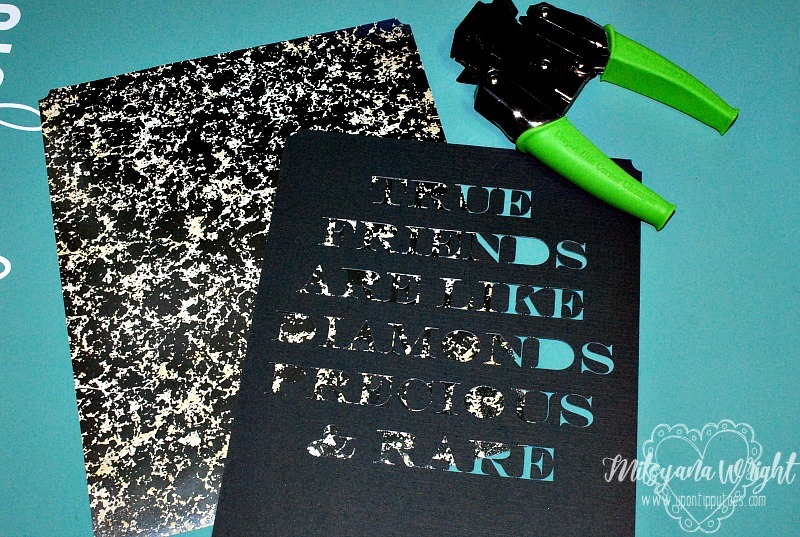 First, I cut out all the diamonds from my cardstock. Then, I folded along the crease lines. Because this was a very thick cardstock, and because I wanted the folds to we defined, I used a bone folder to make those crease lines crisp. Then I used a bit of liquid glue to attach the flaps. Just a heads up... the back flaps attach to the little triangular tabs around back, not the long flap that goes across the top. 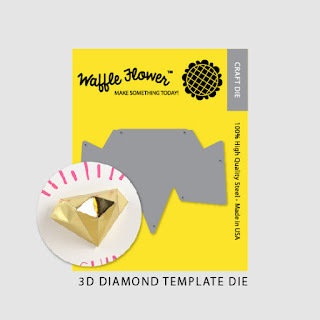 For those of you who need visual assistance, Waffle Flower also has an instructional video on youtube to help you assemble this template. You can find it HERE. For the quote, I opened my computer software and electronic cutting machine. I used fonts already on my computer and typed out the quote in a bold print font, Then cut it out on my machine using black cardstock. I removed the inside die cute letter and used the entire negative cut-out. I matted this piece with more if the same mercury glass paper. Then used a corner chomper and gave the corners a ticketed edge. 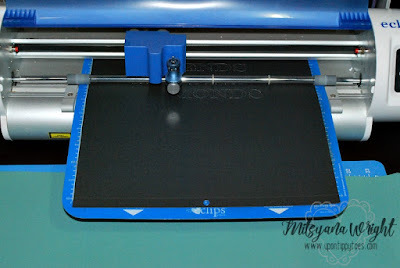 Next, I ran the black/quoted cardstock through my Xyron Creative Station with a 9" permanent adhesive cartridge. With the protective plastic still attached, I traced around each letter. 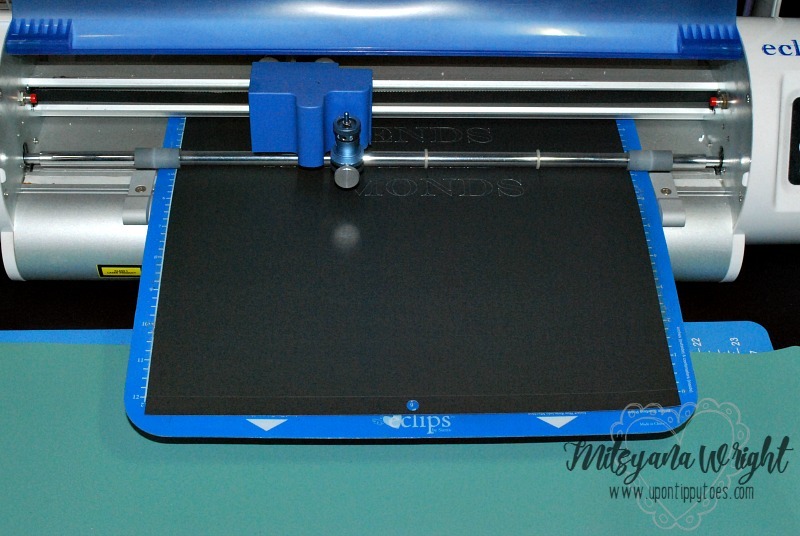 Then peeled the protective film and adhered it to the mercury glass cardstock mat. Then,once again, ran it through my Creative Station. 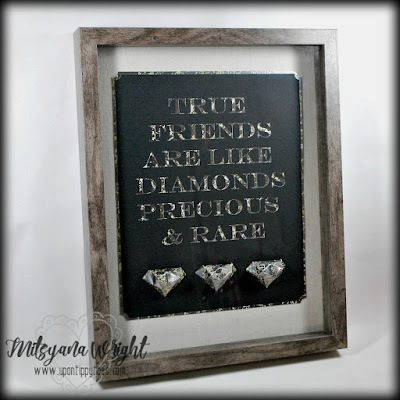 I had purchased a 11"x 14" shadow box frame. I took it apart and attached my quote directly onto the canvas insert that came with the frame. 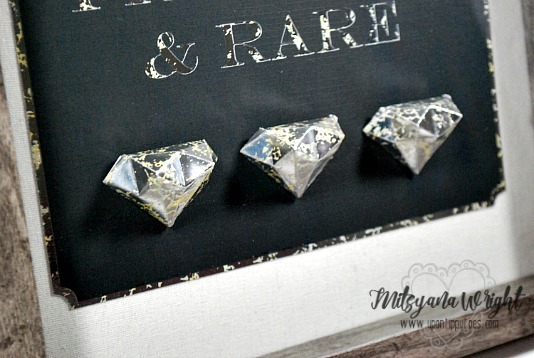 Once secured, I glued three 3D diamonds below my quote. 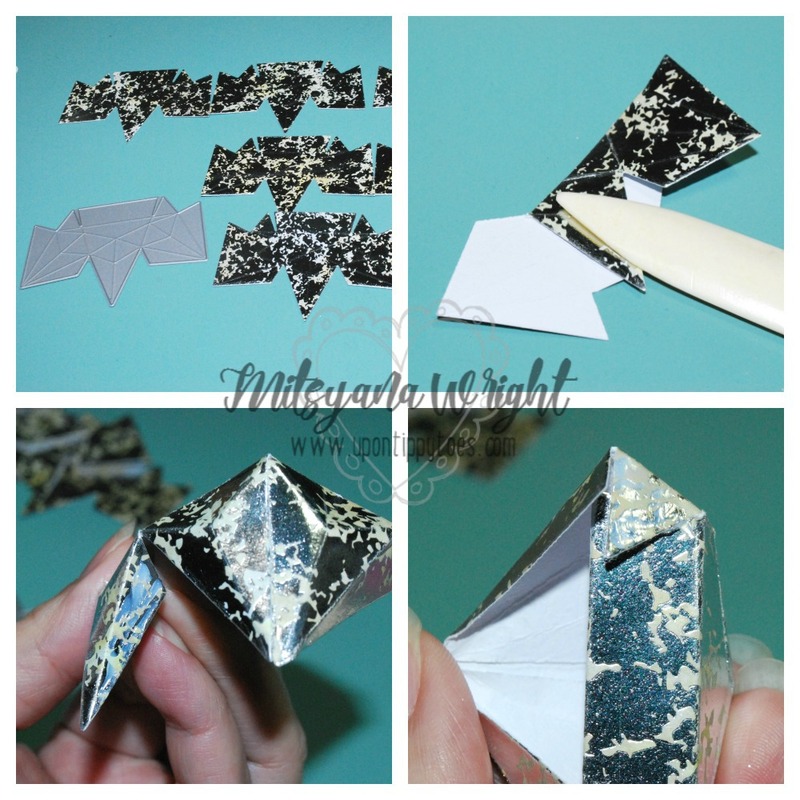 I To help with alignment, I used a T-Square Ruler and lined up the top edges with the tops of each diamond and used liquid glue to secure in place. 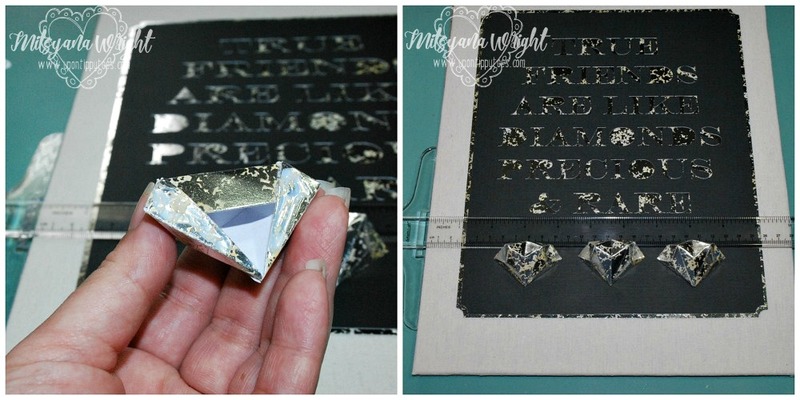 Once the glue was dried, I inserted the mat into the shadowbox frame. And here is my finished project. A very special gift for a very special friend!! 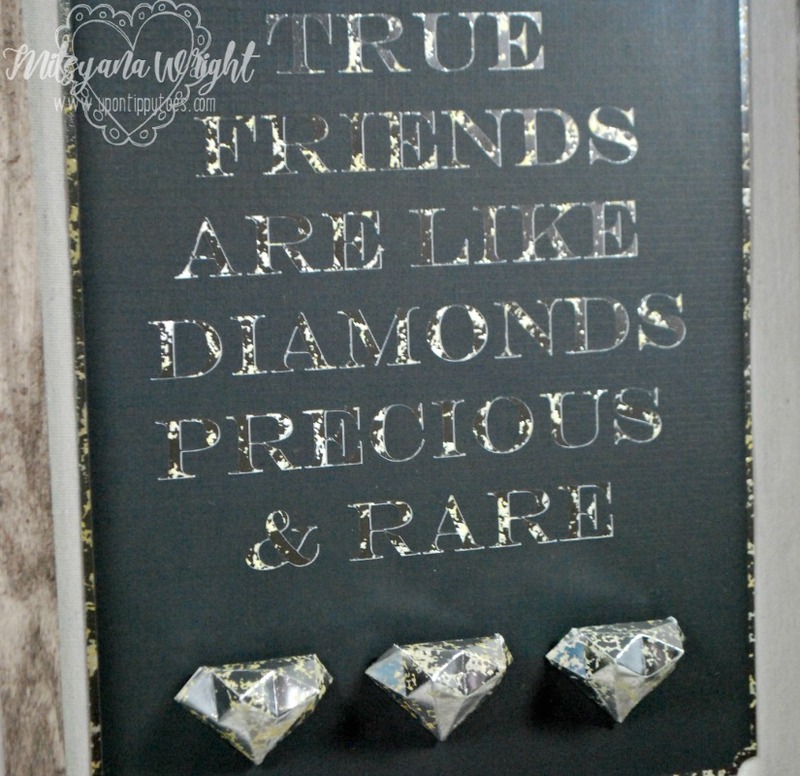 WHO'S A TRUE FRIEND & A REAL JEWEL! I hope you really enjoyed my project for today! To enter GIVEAWAY on the Xyron page by COMMENTING on any/all the Waffle Flower project posts!! To stop on by the Waffle Flower Blog for even more amazing projects. Hope you all have a great SUMMER!! And Enjoy the rest of the BLOG HOP!! Such fun! Love how you did this! Awwww, you made me cry. This is such a beautiful piece. I can't wait to make James hang it up. You and your family mean the world to me, and we love y'all so much. Y'all are our non-blood family. I will cherish our friendship forever. I couldn't ask for a better friend. As Michaela said, you are good for me. I wouldn't trade you for the world. Great idea, I can think of so many people I can make these for. Thanks for sharing! First of all, my condolences on your loss. Mitsy, this is so beautiful and I would say you have great friends. I am sure they will treasure this! TFS! I am so sorry for your losses. And so happy for you that you have wonderful friends. 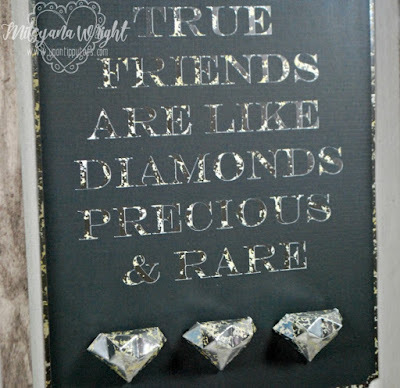 They truly are like diamonds and I know your friends appreciated your beautiful gift. Sorry for you loss. 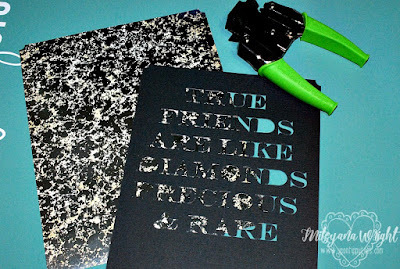 You do have a true friend and I am sure she will love this more than you realize. It is such a heartfelt gift.